Book your rental skis, snowboards, and boots online in advance and save up to 20% on the regular rate! ​Excel in all playgrounds with the new QST 106. It's powder-ready all day with on-piste reliability. Adaptable to any terrain, and quick and agile, with technology including power platform for better responsiveness and a honeycomb tail insert for less weight at the extremities. ​A narrower freeride alternative with a healthy dose of versatile tip rocker - allows you to bush through crud while still lacing zipper lines and arcing turns on steep groomers. Whether you're skiing aggressively or just cruising, the QST 92 is up to the challenge. A light but powerful ripper with the heart of a lioness, the Salomon Q-103 Stella Skis are perhaps Salomon's best expert level women's all mountain offering. With a 103 mm waist in the 172 length, a long and gradual rocker profile in the tip, and a relatively flat tail to lay down some edge power when you need it, the Stella kills it in all conditions without tiring you out on long days. A perfect solution for women who want to charge hard from first chair to last call with the confidence to handle two feet of powder in the morning and chop in the PM. The Blizzard Rustler 10 Skis are an all-new design that replaces the Peacemaker in Blizzard's lineup, with performance that bridges the gap between that ski and the Bonafide. Light enough to double as a touring ski, but strong and versatile enough to serve as a daily driver, the Rustler 10 sets a new standard for all-mountain power. Want to see what the Bonafide hype is all about? 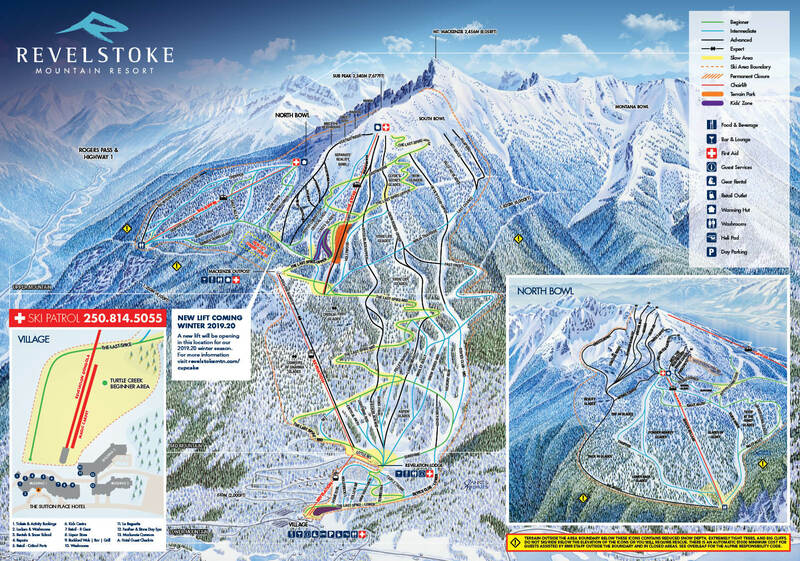 Snap a couple of turns on the renowned ski to feel what has every ski tester raving. This do-everything ski includes a 98mm waist, new Carbon Flipcore, a rocker-camber-rocker profile, and two sheets of metal. The Bonafide is the most versatile ski in Blizzard's Freeride lineup. You can spend almost everyday next winter on the Bonafide and you won't regret it. An ideal all-mountain, all-conditions choice for the soft-snow oriented freerider. A powder freeride option that will have strong appeal to women who love the deep and steep. Strong and stable but still easy to push into a turn. The Atomic Vantage 100 CTI Skis are the headliners of Atomic's totally re-designed Vantage series, and the widest at 100 mm in the waist. If you're looking for an all-around tool for crushing both soft and hard conditions, you must check out this ski. Eminently suited to the traditional expert skier who wants one ski to do it all, especially in softer conditions, the Vantage 100 CTI is the new front runner in the wide but nimble 100 mm class. The Atomic Vantage 90 CTI grips like a high-performance piste ski, but with its All Mountain Rocker it still delivers killer performance across the mountain. The Holy Grail of freeskiing has long been the ski that rips the groomers and still handles soft stuff. Get ready to fill your cup and savor it with the Atomic Vantage 90 CTI Skis, Atomic's new lighter, stronger and more precise answer. A new material called Carbon Tank Mesh allows this ski to be simultaneously stronger and lighter than previous models, and a flatter, more directional shape puts more edge on the snow for a stronger and cleaner finish to your turns. Now drink up! Need a fresh vantage point? These skis will help you track it down. The All Mountain Rocker consists of slight rocker in the tip and tail allowing you to make catch free turns in the crud while camber underfoot keeps you locked into carves. A freestyle child at heart, the Candide 2.0's symmetrical shape and responsive poplar/beech core excels on jumps, lips and massive straight airs. The Candide 2.0 is ready to play around the whole mountain, so drop hits and flash the bump line under the lift on your way to the park… we can hear the cheers from here. You can trust in the lightweight, 108mm underfoot Candide 3.0 when staring down giant backcountry booters or waist-deep pillow lines. The Prodigy 2.0 skis are all about possibilities - creative ways to get down the mountain that don't just include turning left and right. With a super versatile 96 mm waist that excels in both firm and fresh, and a directional twin shape that feels just as good riding switch as it does regular, the Prodigy 2.0 is one of the best pure fun platforms on the mountain. Solid all-mountain performance that's geared toward soft snow is paired with a freestyle-ready directional twin shape that goes backward 95% as well as it goes forward. The relative lightness of the Prodigy 3.0 is balanced by the addition of 2 layers of flax fiber to dampen the ski without adding undue weight. Built with industry-leading design materials and construction techniques as a one ski quiver for the seasoned freerider who is always on the lookout for powder exploits. This is the most forgiving, easy to control model in the new X-Drive range. A ski designed to inspire maximum confidence from the first turns and to let you etch turns on groomed runs with complete ease. The Salomon X-Drive 75 ski is a all-day, all-mountain carving comfort ski. The X-Drive 75 is forgiving, easy to control, and likes to make short snappy turns. If you need a freeride charger that you can still throw sideways in a pinch, you owe it to yourself to check out the Rustler 11. A sculpted D.R.T Titanal laminate adds torsional stability underfoot, but tapers toward both tip and tail to save weight. The twin tip shape has been toned down from that of the Gunsmoke, and the result is a more stable freeride performer that has already proven itself on the Freeride World Tour on the feet of Leo Slemett and Loic Collomb-Patton. Step into the Atomic Backland Bent Chetler Skis on a pow day and you'll know the true meaning of living in a gangster's paradise. Massive 30% tip and tail rocker combine with HRZN technology for supreme float, butter-ability and playfulness in pow. Big skis that deliver soft-snow fun plus a solid on-piste ride for all-mountain capability. A pair of versatile skis for resort laps and for big swishy turns in all conditions from powder to the chunder. From the steeps of the FWT, to the playful hits of La Balme, the multi award-winning Candide 4.0 is almost as decorated as Candide Thovex himself. This ski combines technology and progressive ski design to create a lightweight, performance-focused backcountry slaying machine. The CT 5.0 brings the original Candide 4.0 back to life, revived and updated. As playful, poppy and easy to pivot as the legendary ski, with an updated core, rocker curves and construction that polish up the ride and add extra durability. With a lightweight paulownia/poplar core built for the backcountry, two full layers of titanal for gs-ready stability, the all-new dictator 4.0 has a need for speed. Weapon of choice when sending it down the bec des rosses, the dictator 4.0’s long sidecut in the tail lets you open it up for steep, charging turns, whilst the shorter sidecut and rocker in the tip keep it nimble and under control. With a 115mm waist, the dictator 4.0 floats over fresh snow and makes old crud feel like it’s a powder day, every day. The all-new prodigy 4.0 is a pow-slaying and pillow-dropping machine. With a 112mm waist for superior float and extra landing gear for stomping airs, the ski also boasts a progressive shape that allows for quick turns and buttery smooth switch landings. The ski’s responsive poplar and ash core creates a playful yet chatter-free ski, with a layer of flax fibre for extra earth-friendly dampening. The prodigy 4.0 is ready to relish whatever you throw at it. Leveraging an All-Terrain Rocker 2.0 profile, these skis yield a winning combination of powerful, responsive carves when you need a reliable edge and quick, nimble turns in tighter quarters. If you're searching for a resort-ready combination to make the most of all those non-pow days, look no further. A fantastic option for aggressive skiing women who will spend the majority of their time on the frontside of the mountain. Highly maneuverable in any condition you are going to find on the mountain. The Atomic Redster G9 delivers speed and stability for GS racing at all levels. The pre-stressed rod and elastomer on the top of the ski supports the ski's steering behavior at all speed levels, making steering more agile in turns and more stable on straights. A quick-turning, slalom slashing machine dripping with World Cup approved race tech. The Blizzard Brahma Skis are one of the best all-mountain tools in the industry. Tenacious edge hold and stability at all speeds is a trademark of Blizzard skis, and the Brahma shows both qualities in spades. One of our favorite advanced-to-expert level choices for skiers who spend most of their time on groomed slopes but who aren't afraid to dice up the pow when a storm hits. There comes a time in every young shredder's life where they need to step into a ski that can actually keep up with Mom and Dad in the fluffy stuff. Let the powder hound in them loose with the Atomic Backland BC Mini Skis - the rockered tip and tail and 90 mm waist width are the perfect combination of float and downday fun versatility. View rental rates for adults, children and tots. We offer standard and high-performance packages online and can customise the length of your rental period depending on your requirements.